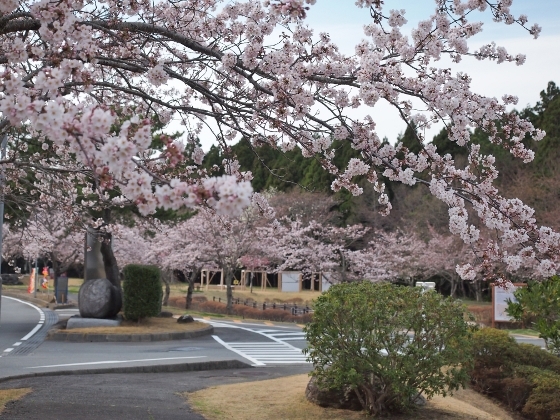 Today I started cherry blossoms tour in Hamadori Region, Fukushima Pref. I took a JR Ban-etsu East Line train with my bike in a carry bag and got off at Ogawago Sta. in Iwaki City. 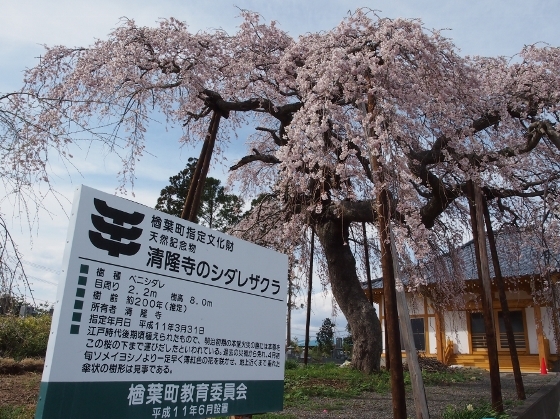 In this remote district of the city there was an amazing cherry tree in front of a local shrine. 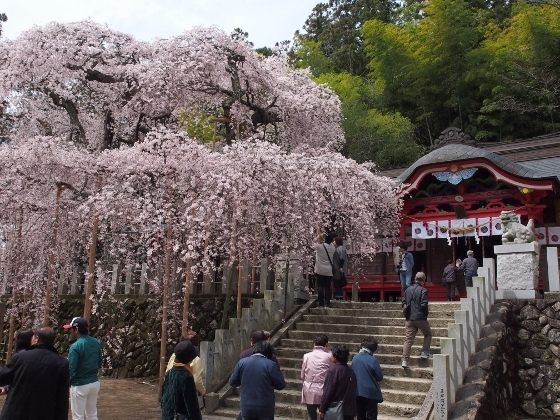 This weeping cherry tree, as you can see in the photo above, stood right in front of Ogawa Suwa Shrine since 500 years ago. 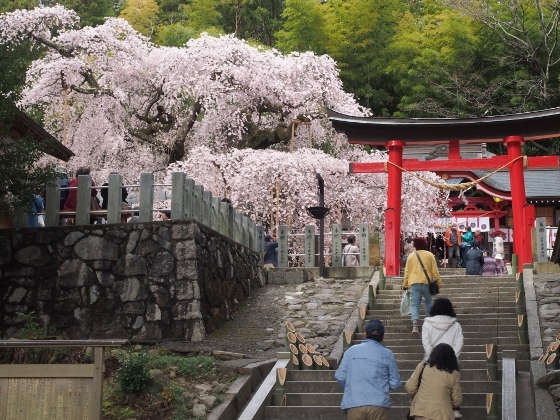 Hundreds of people visited here today to appreciate the tree just in full bloom. A different view from a lower part is also shown below. 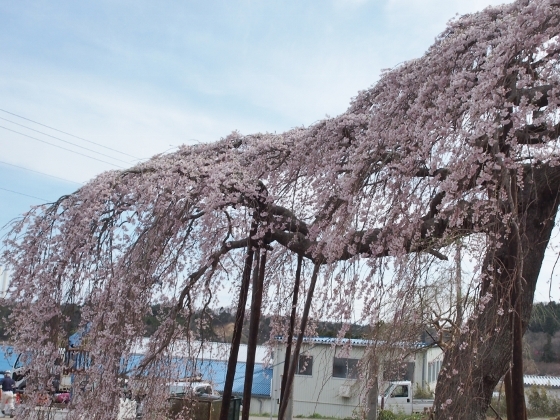 Then I pedaled toward east and found another large weeping cherry tree in Naraha Town as shown above. 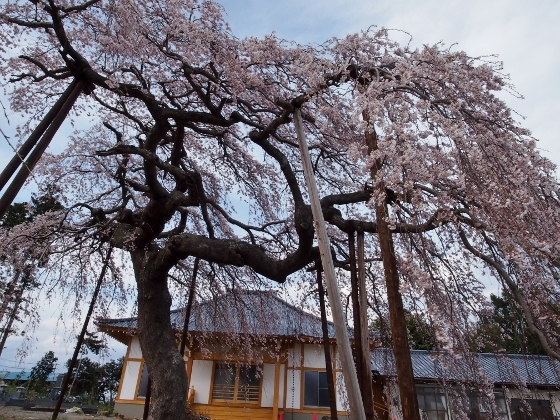 The tree stood in the precinct of Seiruji Temple located near JR Kido Sta. The branches really looked like a waterfall as I added a close-up view of a branch below. 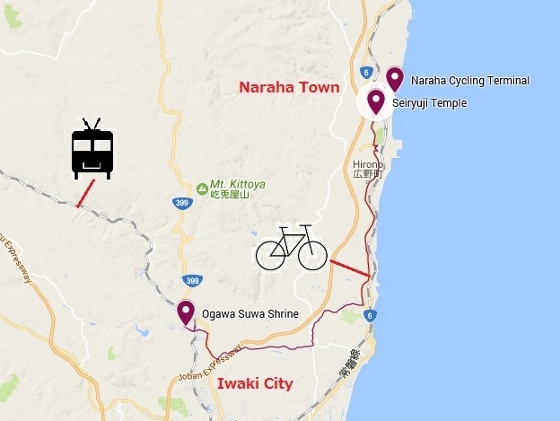 Today’s goal was a hotel called Naraha Cycling Terminal located within Tenjin-Misaki Seaside Park. Some of the cherry trees in the park have become nearly full bloom today as shown above. 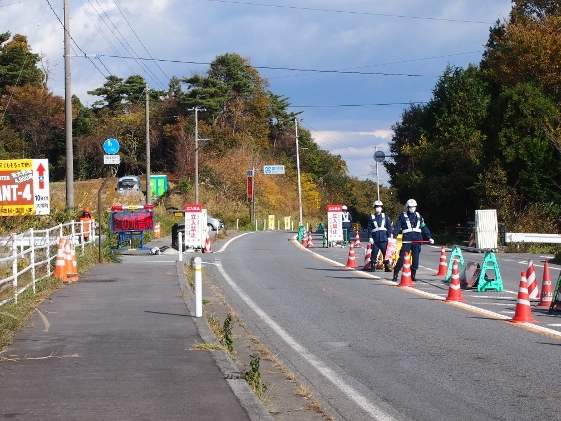 Today, I went up north from Iwaki-Yumoto Onsen via Route 6 along the coast line, and returned back before the evacuation zone in Naraha Town for the Fukushima nuclear accident. 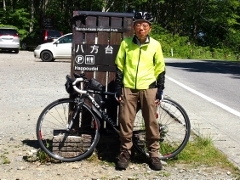 I also visited Road Station "Yotsukurako" on the way. 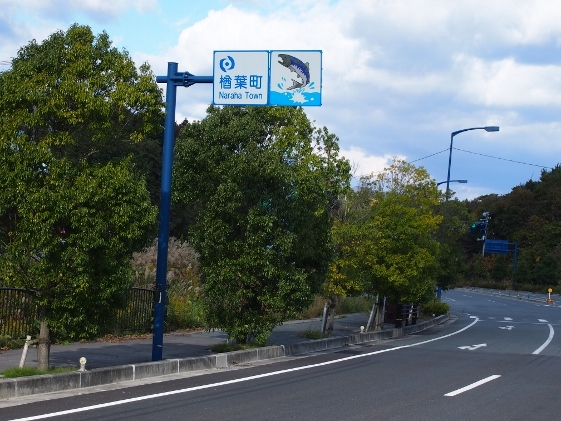 On the way, I found the guide sign for the Road Station "Yotsukurako" which meant Yotsukura Port as shown in the picture above. 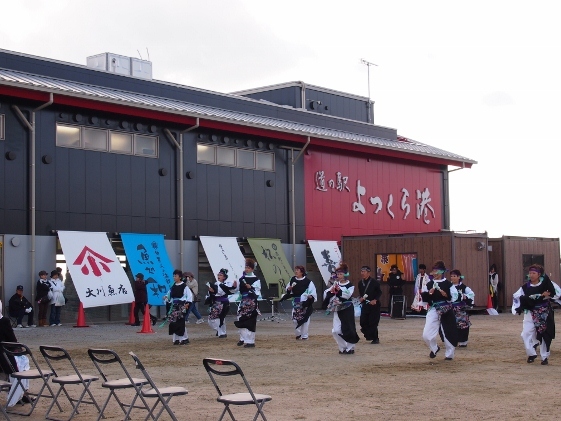 Today, special event was being held as shown in the second picture and the place was clouded with people. 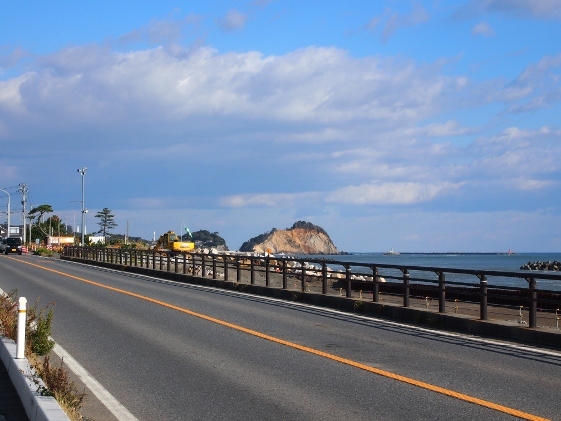 The picture above shows seashore of Hisanohama area of Iwaki City a little ahead of Yotsukurako. Similar beutiful views appeared one after another. 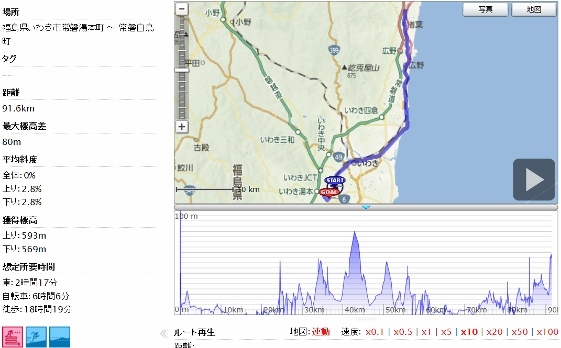 Leaving Iwaki City I entered Hirono Town as shown in the picture above. As you can see a tunnel ahead in the picture, there were total eight short tunnels from Iwaki City through Hirono town. Since most of them had nice flat side lanes, I could pedal my bike safely. 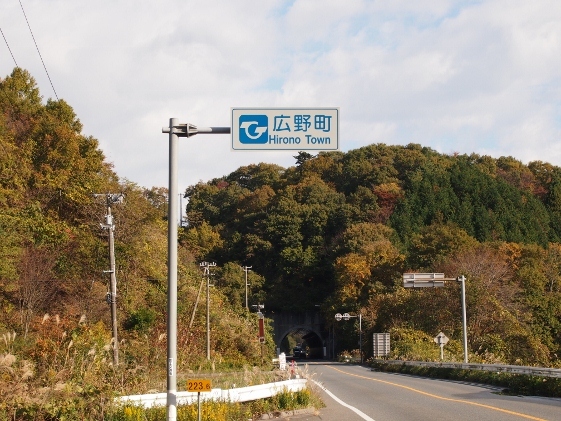 Leaving Hirono Town I entered Naraha Town as shown in the picture above. 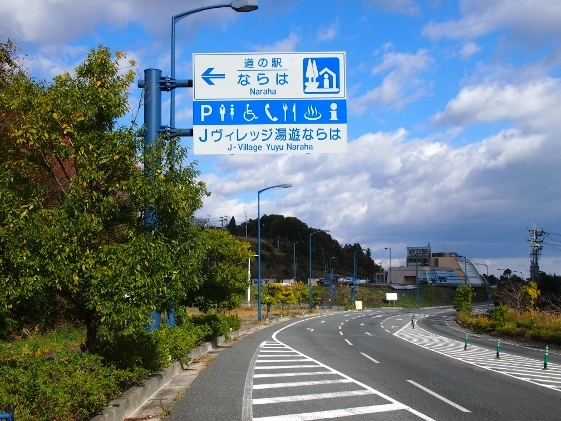 The Route 6 originally went as far as Sendai City; however, since the evacuation zone of the nuclear accident split the route, one had to return at the northern end of Naraha Town. In other words, everyone can go safely up to that point. The second picture shows the boundary of the evacuation zone. 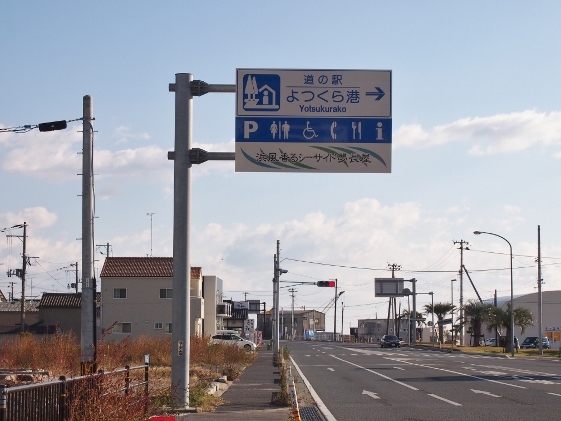 In Naraha Town there were some public facilities such as Road Station "Naraha" and J-Village as shown in the guide sign of third picture. Now they were exclusively being used for operation of the treatment for the accident. Many parties concerned were busy even in weekends. 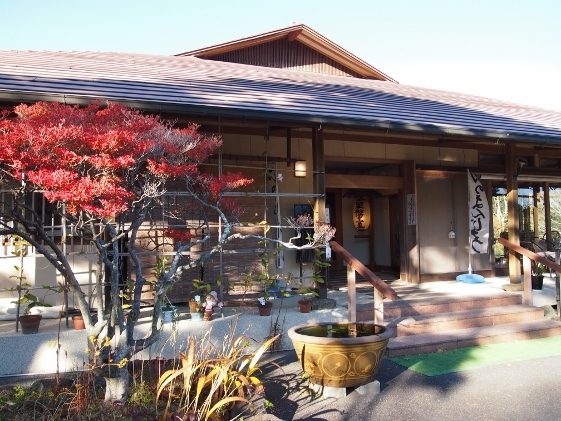 Today I stayed at Kirakuen Inn shown in the picture above which was a member of Japan Association of Secluded Hot Spring Inns. 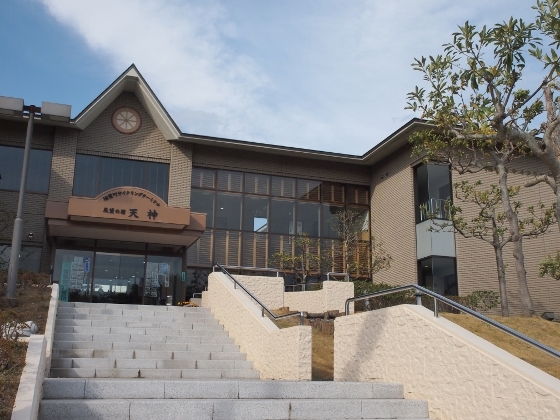 The inn was located in the northern height of Iwaki-Yumoto Onsen area. The next picture shows the cave bath. 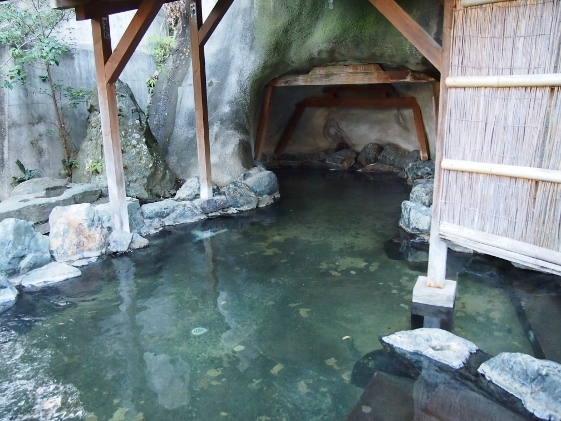 The hot spring source was the same as Iwaki-Yumoto, and the bath was really good. They also had original good mineral spring source bath.